Manasseh Cutler, a Congregationalist minister, left his home in Ipswich, Mass., to help build the first permanent settlement in the Northwest Territory. While there, he founded Ohio University – and then he returned home. Cutler played an important role in starting the Great Westward Migration. He had lobbied the Congress of the Confederation to make it possible by passing the Ordinance of 1787, which created the Northwest Territory, a vast area including Ohio, Michigan, Wisconsin, Indiana and Illinois. Cutler wrote the section banning slavery north of the Ohio River. Cutler and his partners formed a land company called the Ohio Company. He made a deal with Congress that his associates – Revolutionary War veterans – could buy 1.5 million acres with the debt certificates they received in payment for their services during the war, or about eight cents an acre. He smoothed the way by making members of Congress partners in the land company. On Dec. 3, 1787, 48 men gathered at Manasseh Cutler’s house, shot off a volley and embarked on their journey. They carried their supplies in a wagon with lettering on the side that read, “Ohio, for Marietta on the Muskingum.” They crossed the mountains on foot and stopped in West Newton, Pa., on the Youghiogheny River. There they built flatboats and canoes and floated down the river to Pittsburgh, where they finished out the winter. In the spring they continued on, traveling down the Ohio and Muskingam Rivers, where they stopped and began building Marietta. Cutler followed their path that summer with a second group, arriving on Aug. 19. During the two years he spent in Ohio, he helped found Ohio University. Manasseh Cutler’s own journey to that point had been circuitous. 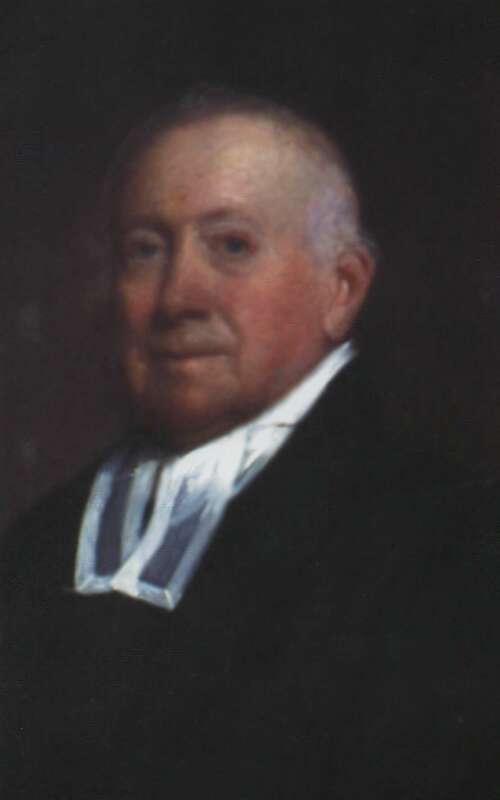 Born in Killingly, Conn., in 1742, he graduated from Yale College and then tried his hand as a merchant, a schoolteacher and a lawyer in Edgartown and Dedham, Mass. Finally he turned to the ministry, and from 1771 until his death in 1823 he was pastor of the Third Church of Ipswich in what is now Hamilton, Mass. He served as a chaplain during the Revolutionary War, after which he trained in medicine and established a boarding school. When he returned from Ohio in 1789, he ran for Congress as a Federalist and won, serving two terms. He also pursued scientific inquiry, conducting meteorological and astronomical investigations. Cutler wrote detailed descriptions of 350 plants of New England, the first to do so. He was one of the first members of the American Academy of Arts and Sciences. We are indebted to the Ipswich Historical Commission for this story about Manasseh Cutler, and to Gordon Harris for bringing its website to our attention. This story was updated in 2018.